MM60 Series | Japan Aviation Electronics Industry, Ltd. 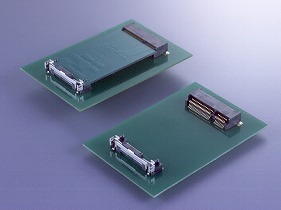 The MM60 Series is a module socket compatible with the specifications defined by the PCI-SIG. Compatible with the PCI Express Mini Card Electromechanical Specification and can be used for connecting with modules with PCI Express and USB communication. Retention latch part available to fix module to connector. Latch has mechanisms on both sides for module ejection. Two types of module mounting heights are available. Stand-off type allows components of under 1.8 mm height to be placed below the module. Connector and latch are compatible with automatic mounting.